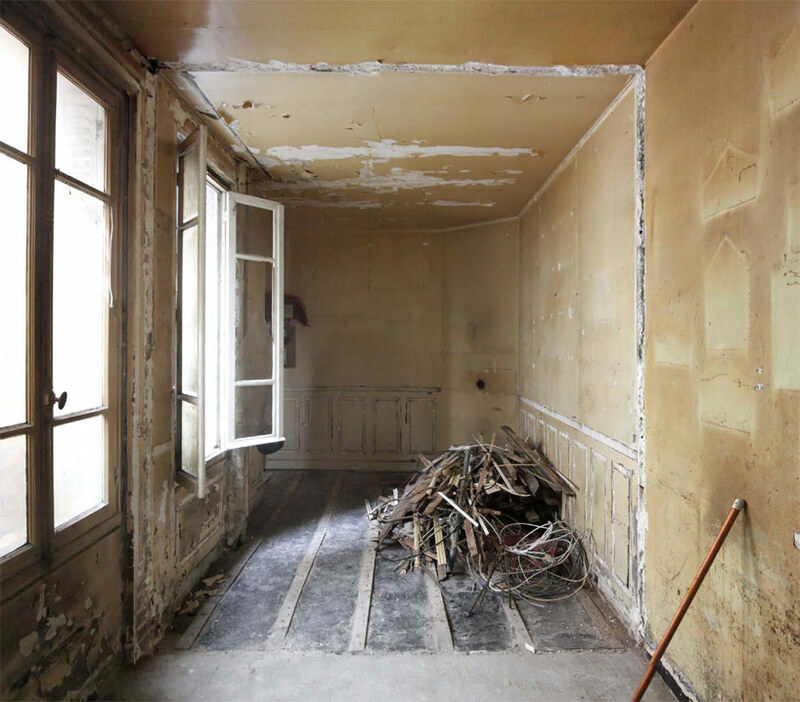 When asked by a client to refurbish tiny Parisian studio apartment, architects Raphaël Bétillon and Nicolas Dorval‐Bory came up with a design that required them to pay particular attention to interior lighting. 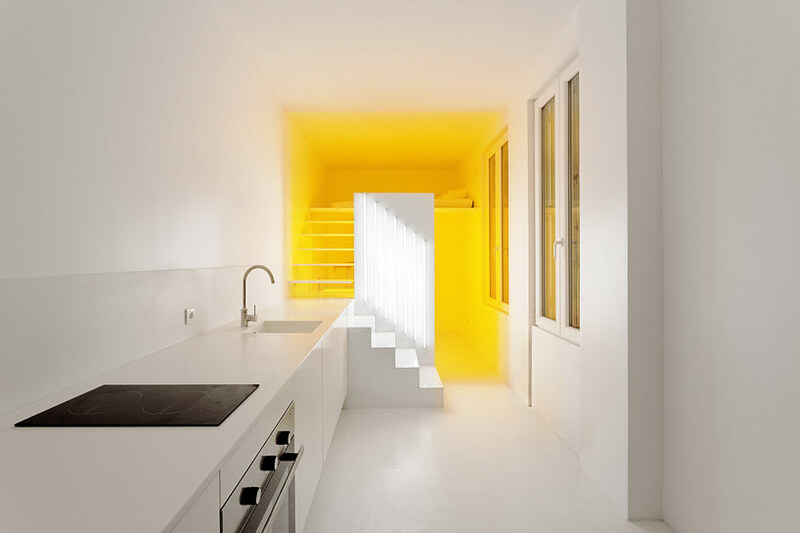 Hampered by a lack of natural daylight in the apartment, Bétillon/Dorval-Bory set about researching the colour rendering index (CRI) and created a unique approach to the division of space, using high performance fluorescent lighting at one end and the apartment and low-pressure sodium lighting (LPS) at the other. The latter is commonly used for street lighting and is known for providing great efficiency, but poor color rendering; however, its use was a deliberate ploy by the architects to help shape the space. 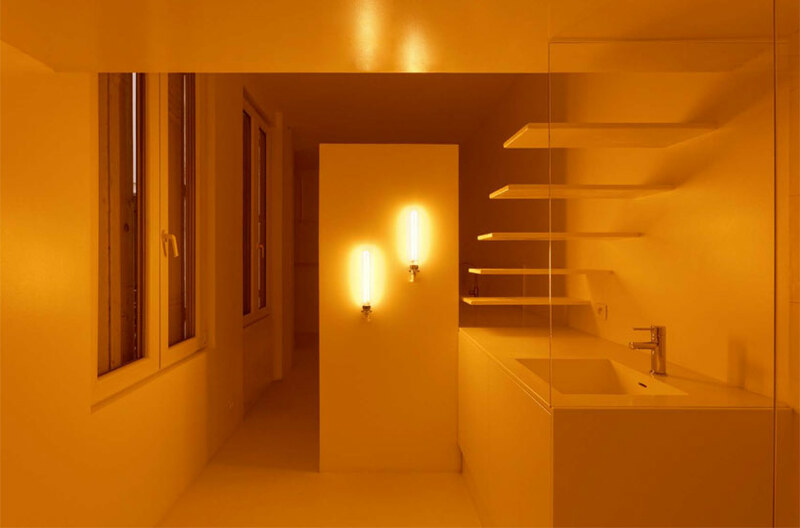 LPS is certainly an unusual move – the monochromatic amber making everything indistinguishable – but provides a bold statement, with tasks such as sleeping and showering not requiring the same level of rich coloring as cooking. 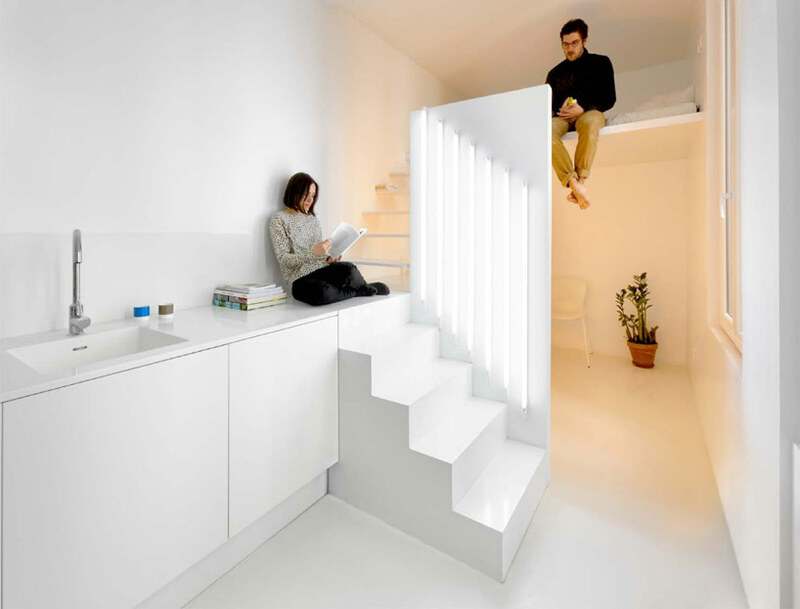 Named Spectral Apartment, the only lighting in the studio flat can be found fixed to a small 2-metre high partition, which acts as the separator between kitchen and living space and bedroom and bathroom. 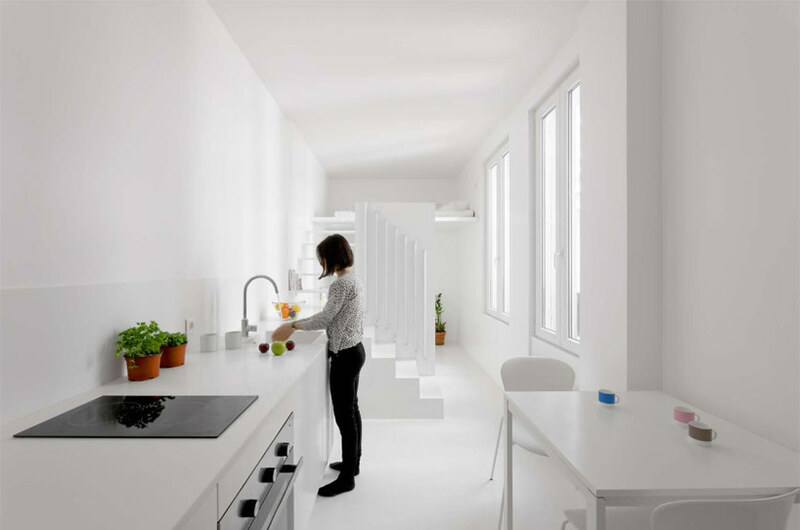 The seven high-performance fluorescent tubes on one side of the partition give the modern kitchen the necessary light, while the reverse sees two zero CRI LPS lamps fitted. 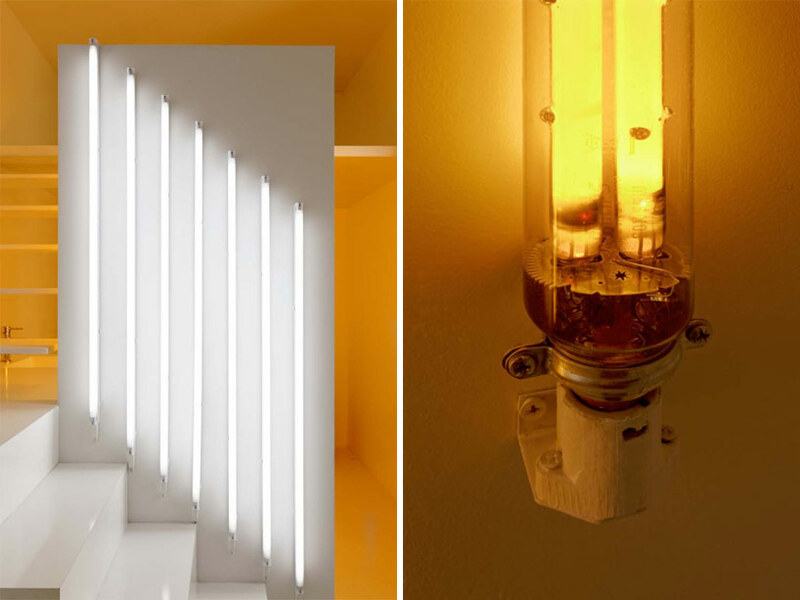 Each lighting source has a different switch to create changeable lighting patterns, for different uses of each area. 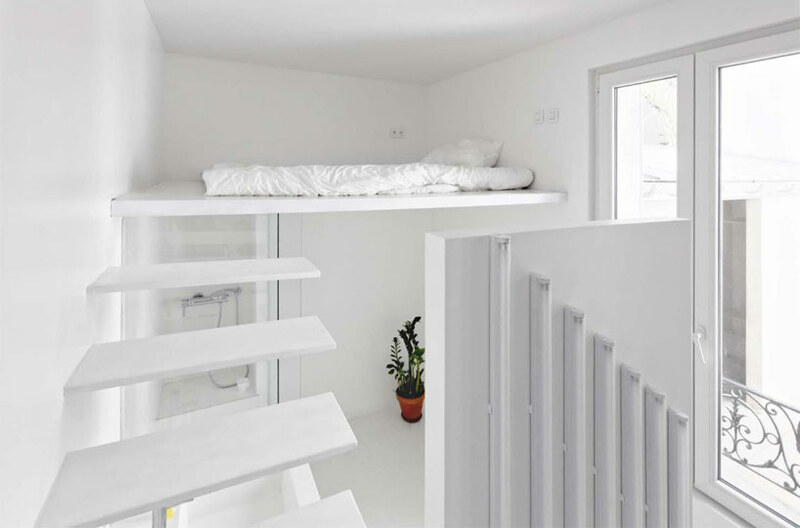 The sleeping area, which is a small crawl space bunk, is accessed via slim cantilevered stair treads that require treading on the kitchen worktop half-landing; while underneath exists the bathroom and a surprisingly roomy shower. 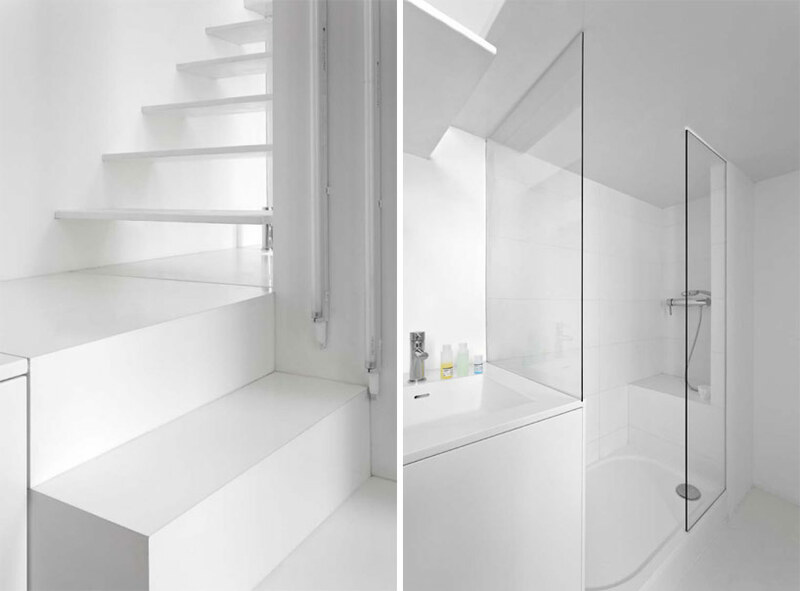 The minimalist and economical design of this studio apartment most certainly will not be to everyone’s liking, especially in terms of practicality; but for the ingenious use of lighting alone, Spectral Apartment is an architectural feat that must be admired.